Spring is Coming! Are You Ready for Spring? 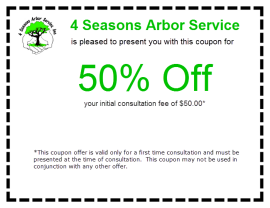 - Arbor Cares Tree Service, Inc.
Spring is Coming! Are You Ready for Spring? Even though it is only mid March and the temperatures outside are way below normal by historic averages, I declare that SPRING IS ON THE WAY…we just don’t exactly know when it will begin. We have had years when we have jumped from these kinds of temperatures to 40-50 degree day time highs in a matter of a couple of weeks. We also have had springs time temperatures that have lasted in the end of June and had cool summers. So stay tuned. But be prepared residents in Oak Lawn and Burr Ridge and all surrounding cities. How can you be prepared? 1) Take inventory of the types of trees and bushes you have. Springtime cool, rainy days become a perfect environment for airborne fungal spores to be released onto newly emerging leaves. If those conditions persist, the fungal spores like Apple Scab Fungus and Leaf Anthracnose, Diplodia tip blight on Pines, just to name a few, will rapidly infect the leaves on your plants and left unprotected you many end up with naked branches by mid-summer. Do you have crabapple trees In Darien? Do you have ash trees in Homewood? How about Sycamore trees in Olympia Fields? These are just a few of the trees that left untreated will look very unsightly by mid-summer. There are options to control these fungi but some treatments need started as the buds open up. 2) Do you have your plants on a scheduled deep root feeding by a Certified Arborist? You may say, “My plants don’t need feeding.” Are you so sure? 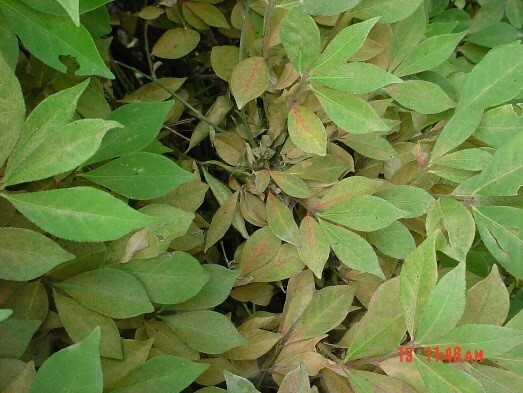 Were any of your trees or shrubs attached by insects or lose their leaves due to fungal diseases? Did you faithfully give them deep soaking watering during the dry weeks of the summer? If you didn’t then most likely your plants need professional care. If the trees did lose their leaves, then they definitely need a feeding. Why? You have to remember that the leaves are the food producers for the plants. 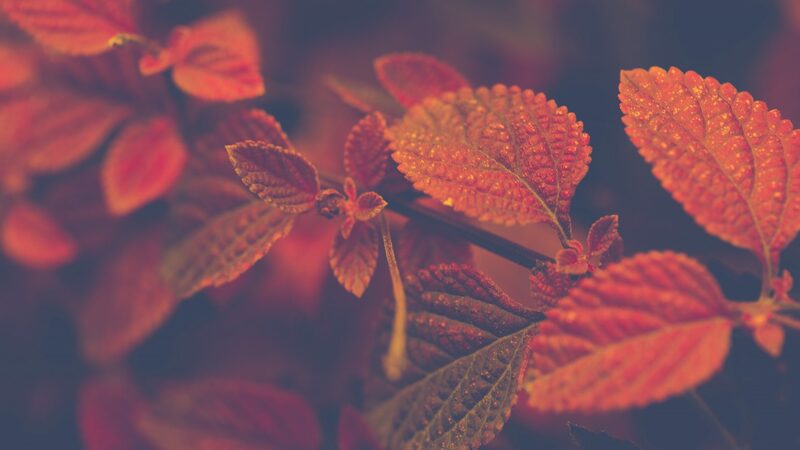 If they lose their leaves early or the leaves are unhealthy the tree doesn’t get enough food to produce healthy buds and growth for the next year. 3) Insects also emerge from their various winter stages as the soil temperatures rise and the sap begins to flow. They will be hunger or the newly hatched insects will be hungry and ready to feed on the tender succulent leaves, buds, flowers, and shoots. In Crestwood, there are many Chinese elm trees. The Elm Leaf Flea Weevil emerges and begins to voraciously feed on the leaves causing multitudes of holes in the leaves, thus stressing the tree. In Mokena, the larvae of the EMERALD ASH BORER will also emerge and return to feeding on the delicious nutrients beginning to flow up the tree. Soil injections of certain pesticides have to be put into the soil as soon as the frost is out of the soil. Trunk Injections for the borer can be done as soon as the leaves emerge. 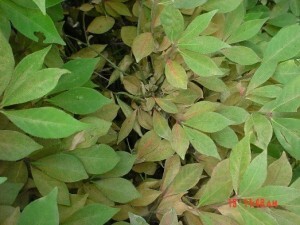 On our evergreens and burning bushes cool season spider mites begin to feed in Palos Park. 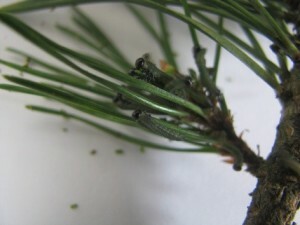 European saw fly larvae will hatch and begin feeding on the needles of pines in Lemont. If you know the plants you have, then you can get them treated early before they do too much damage and more often than not with less toxic treatments. So Again, I ask. ARE YOU READY FOR SPRING?